Two companies. One goal - to be the only name in sports-entertainment. 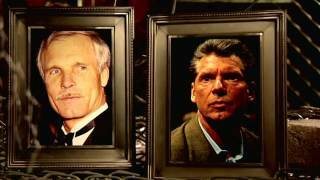 This 20-episode WWE Network series delivers the in-depth stories of both Vince McMahon's WWE and Ted Turner's WCW, as they battle head to head in a primetime power struggle that forever changed the face of sports entertainment. Part four follows the path of Stone Cold Steve Austin from relative no-name in WCW to era-defining megastar in WWE. WCW unveils a potent new weapon, Goldberg. Plus, WCW cruiserweights take to the skies.